I understand unicode for TC is a hard work. After a user in Chinese forum reported this issue, I tested it and report it here. 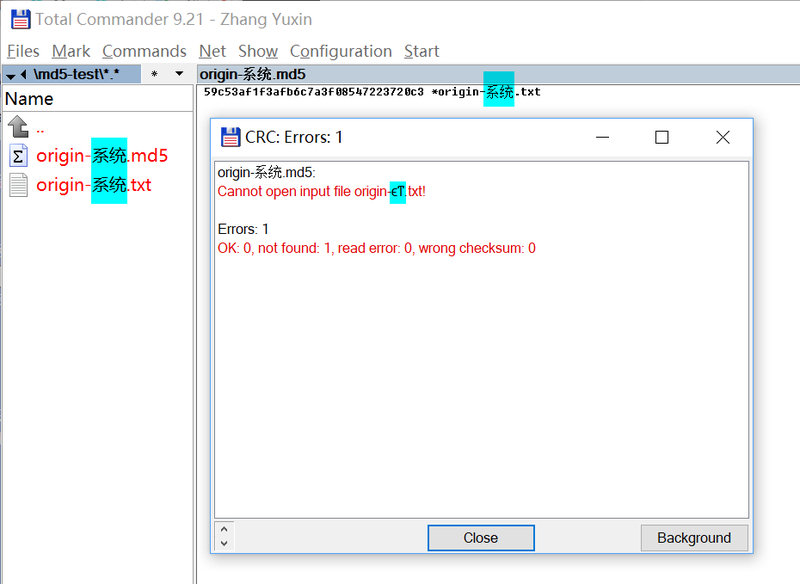 Not all filename contains Chinese have this error. I guess the program confused in different txt encode. The problem is the following: TC uses ANSI encoding with local codepage as long as all characters of the file names are available in the current codepage. So if you have Chinese codepage and Chinese names, TC will use ANSI encoding. However, in your case, the resulting codes CF B5 CD B3 are also valid UTF-8 characters. So when reading the file, TC sees a valid UTF-8 encoded file and tries to use UTF-8 names. Unfortunately I don't currently see any solution to this problem, sorry. I think the best idea would be to implement your suggestion to enable UTF-8 encoding manually.